Jeffrey Lurie said basically that Howie and co have been making these kind of mid season trades for players on expiring deals partly because the benefit of getting to see first hand how this player fits on our team and get a good look at him up close. Its like dating a girl before moving in with her, so to speak. Same goes for when we sign guys to a one year deal like Alshon. Because you're kidding yourself if you think that we weren't going to all be clamoring for the team to sign Tate in the off-season before this trade even happened. Agholor is a FA and he really hasn't shown enough to prove that he can be our #2 WR long term. And Tate is only 30, that isn't ancient. Slot WRs last for a long time compared to other skill positions. @DLF54927 that's an incredibly obtuse and simplistic way of looking at this trade. This trade can have an obvious downside for the Eagles and the probability of that happening is much greater than the upside. I understand the reasoning of taking the risk but it isn't a "win no matter what happens" move like has been portrayed. No it isn't a win no matter what. But saying it has a better chance of being bad is just stupid. And I mean that in a non-jerkish way. We have a great QB playing at an incredibly high level, in a league where that's the most important thing at the moment to have to win a SB. So Roseman's thinking that it would be downright stupid and unnecessary to not do what ever we can to win another SB while we still have Wentz under his rookie deal. Look at the Rams for instance. They are basically like the guy at the poker table who is throwing his Rolex on the table because he's bet all of his other money. And I think that they are 100% right in doing what they are. Right, and I'd say that's clearly your Kelly green bias showing. Most likely scenario is the Eagles not repeating and Tate signing somewhere else. I'd lay heavy odds on the former and 70/30 on the latter. Unless you consider getting a comp pick in 2020 as good. So just in case anyone needed another reason to dislike Philly, there it is. Not really. I don't blindly think any move we make is great. And this trade was far from the only one made yesterday that I feel this way about. Oh so you have a crystal ball. You realize that we traded for Tate like this in part because we want to try him out BEFORE the off-season right? Meaning, because Jeffrey is the only WR under contract see have beside Mack Hollins after this year, we were 100% gonna be looking at WRs in free agency. And our cap space should be up to close to 50 million after all is said and done. Unless Tate is just terrible here (which he won't be), then we 100% will try and retain him. But say he does want like 18 a year or something and we don't want to give that to him, then yes as you said, we will probably just get back a comp pick almost equal to a third. Where did you come up with these odds? Based on your knowledge of the inner workings of our organization and our FO's way of thinking? We gave up a 3rd round pick for THE best YAC receiver in the NFL. Someone who has at least 3-4 years of good to great play in him at a position we needed help at badly. The third round pick is 100% worth giving up for him. We get a player who can help our offense tremendously this season as we get healthier and make a push, bc our division Is wide open and we absolutely can make a SB run given how great Wentz is playing. Not only that, but it allows us not to feel compelled to overpay Agholor this off-season because Tate gives us another option as well as leverage. What exactly is the downside you speak of, seriously? They get 8 games to see what type of Player Tate can be in this Offense. 2 1/2- months to show Tate what "this" Organization is all about. Allowing both parties to make an informed offer/decision come FA. Basically a head start to the 2019 FA! Like the year before with Alshon. Yes I do view a 2020 3rd/4th/5th as the cherry on top to make this deal. The Eagles have an absurd amount of draft capital this year, so essentially trading a 2019 3rd for a 2020th draft pick at worst "IF" he doesn't sign is an easy decision really. Best case Tate helps Eagles Win games, possible Division , possible playoffs??? Resigns in the Off-season. 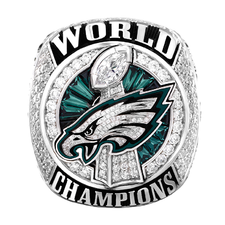 Worst case Eagles do none of the above ,don't resign Tate, wait a year for a Comp pick in 2020 and lose nothing! Not seeing the downside, truly. As a Lions fan I will definitely miss Tate. One of the most unique players in the game IMO, given the way he plays the WR position.